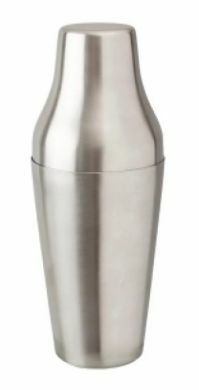 High quality Mezclar brand professional cocktail shaker designed for professional use in bars, pubs, clubs and restaurants. Made entirely out of stainless steel this cocktail shaker feels professional and looks it too. It comes in 2 pieces for cocktail mixing and has a capacity of 600ml. Made entirely of stainless steel with a satin finish.